Jenny’s got a job, a cat named Jake, Thirty-one candles on her birthday cake next year Thought by now she’d have a man Two car seats and a minivan But it still ain’t here . . . .
You feel a little bit lost, a little bit lonely, a little bit like you’re looking for something, but you’re not even sure what. While the image of a 50-something chasing his fading youthful years, speeding away from responsibility in a red Maserati remains the stereotype, I’d counter Jones. The Midlife Crisis isn’t about a sports car. Most medical experts now identify the Midlife Crisis as a transition, not a crisis. The Midlife Transition (or Crisis) is a similar search for identity and meaning during a period of change, which can bring about an opportunity for growth (or a plunge to deep depression). The Good Book Company (2019). 208 pp. $12.99. Rachel Jones is 20-something, trying to keep it together, and ready to say what we’re all thinking. 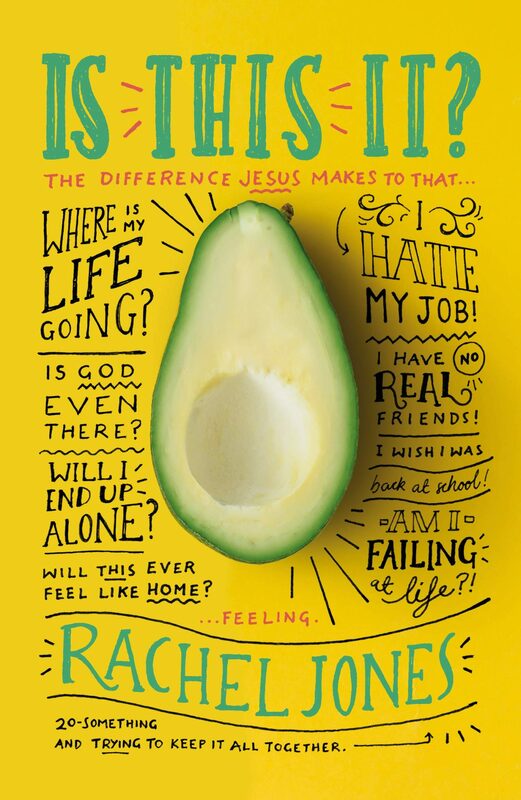 Whether you’re just feeling a bit lost or having a full “quarter-life crisis,” this funny, honest, hopeful book reveals the difference Jesus makes to the angst of adulting. Persevering in following Jesus offers something truer and better? Amen and amen. Crisis or not, we shouldn’t dismiss the younger generation’s search for answers to some of the oldest questions on the planet. As one old enough to be Jones’s mom, I could choose to shake my head and roll my eyes and miss an important opportunity to empathize with a younger fellow-seeker. I’d then miss the chance Rachel Jones does not: to point a younger person to Christ. Has everyone else got it better than me? I’ve got how long until I retire? Is God even real, or am I wasting my life? Jones wraps things up with the all-encompassing statement that captures the gist of the QLC: “This just isn’t how I imagined my life would go” (199). One of the shortcomings of Jones’s book is that she heavily leans on experience and less on research, but she does offer concrete applications of the gospel to a 20-something’s needs. Every chapter points to Scripture that speaks directly to each angst. In the chapter on dissatisfaction, Jones’s conversational tone transforms into something rather gorgeous: She lists nine qualities of Christ applied to the verse “to live is Christ, to die is gain” (Phil. 1:21). This book can speak to Christian and non-Christian, young and old, as a poignant reminder where true satisfaction lies. A generation of believers has since been somewhat haunted by the fear of making such tragic choices. Perhaps millennials are simply seeking to be certain that their lives matter as well, in their own way. LeAnn Rimes hoped to find meaning in human relationships. Rachel Jones rightly tells us where it is: in Christ alone.